Hash the shallot finely. Roast them gently, add the crème de cassis and boil it down to one-third. Add the butter and emulsify the mélange. Gently fry the duck liver escalope in a hot pan and add the apple quarters. Finish the cooking of the foie gras in a hot oven (108°C) for several minutes. 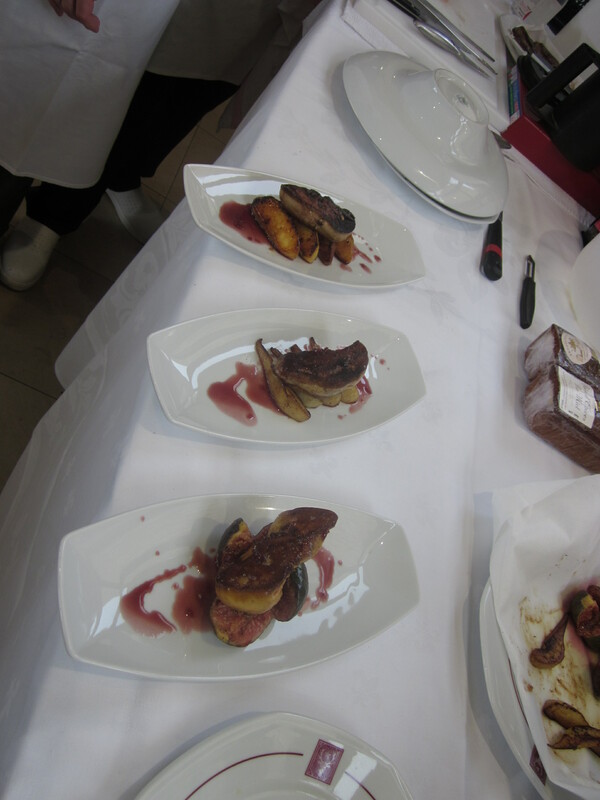 Put the foie gras and the apple quarters on a plate and decorate it with the blackcurrant sauce. Recipes of Chef Jean-Alain Poitevin, restaurant le Clos Prieur, Château de Gilly, Burgundy.